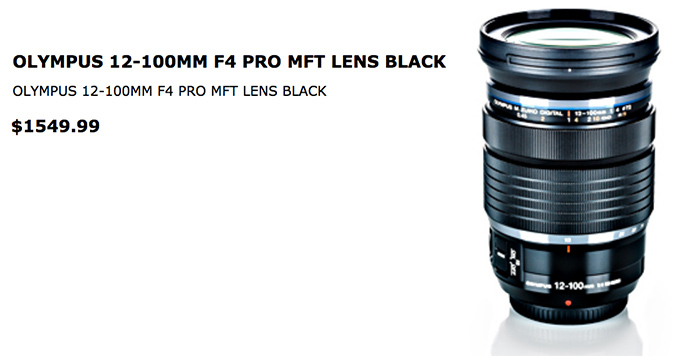 Here is the first price of the upcoming Olympus 12-100mm f/4 pro lens, leaked in Canada. According to the latest rumors from FT5, it will cost $1,549 ($1177 US dollars) and Olympus 25mm f/1.2 pro lens will cost $1,449 ($1100 US dollars). Both the lenses are expected to be announced on Sep 19, along with the Olympus 30mm f/3.5 Macro lens. What to be the Next Olympus Lenses?